Today I've been thinking about Mum and how much I still miss her. She passed away 5 years ago today on St. Patrick's Day and, just like this year, the following day was Mothers' Day. The timing couldn't have been more painful. 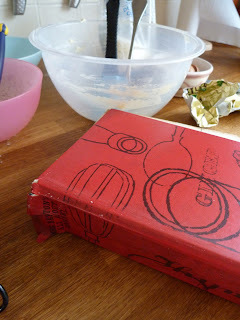 So, to remember her I've had a look in her old, battered cookery book for her favourite cake recipe. The book is Mrs Beeton's All About Cookery first published in 1961. I loved finding Mum's little notes in the book, and seeing the corners turned back on the pages she referred to most often. 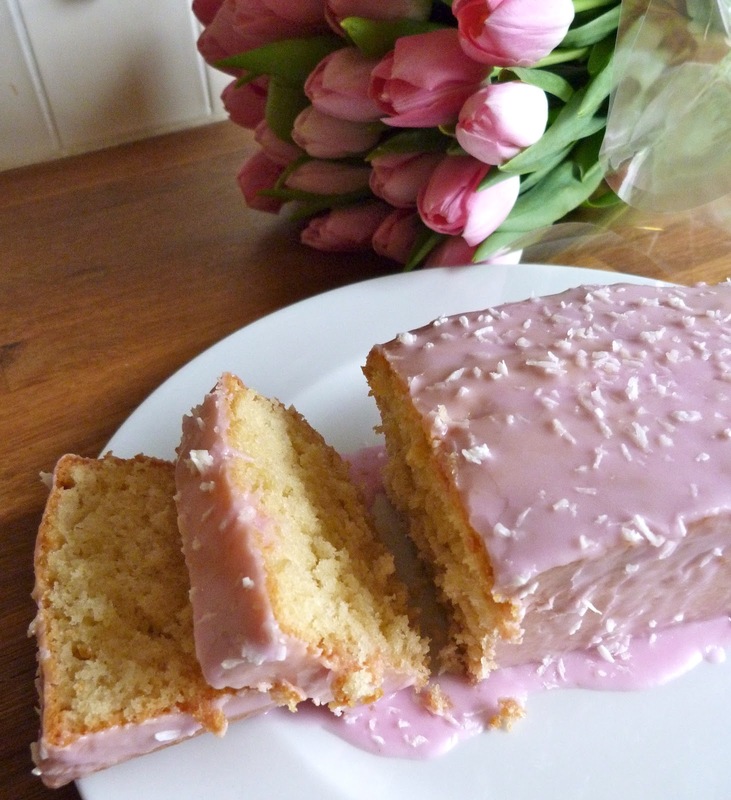 This coconut cake was one of our family favourites, and I hope you'll enjoy it too. And just so you know, my Mum always used pink icing and the icing was always quite runny and poured over the top so that it ran down the sides, so I have done exactly the same thing. Grease and/or line the loaf tin. Cream the butter until soft, add the sugar and beat until soft and light in texture. Add the eggs one at a time, with 1tsp of the flour with each egg. Stir and beat well. Fold in the coconut and the remaining flour carefully but thoroughly. Put the mixture into the prepared loaf tin and level it out with a spatula. Bake for 40 minutes on the middle shelf of a moderate oven (gas mark 4/elec 350°). Leave to cool, then pour over the pink icing. Sprinkle with coconut and leave to set.